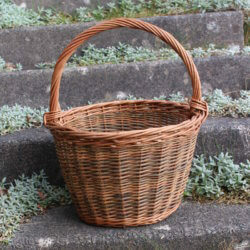 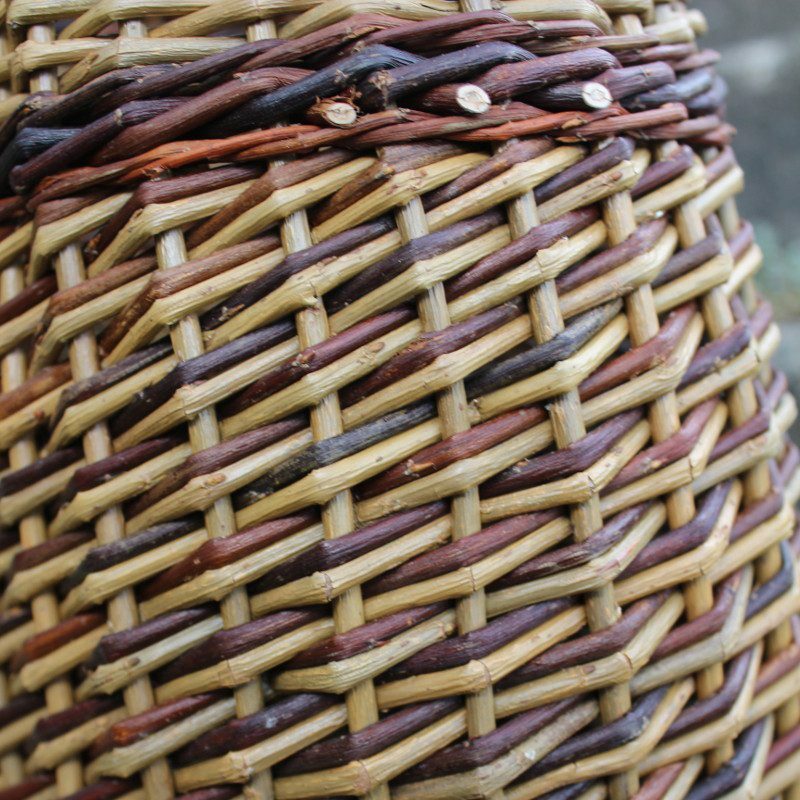 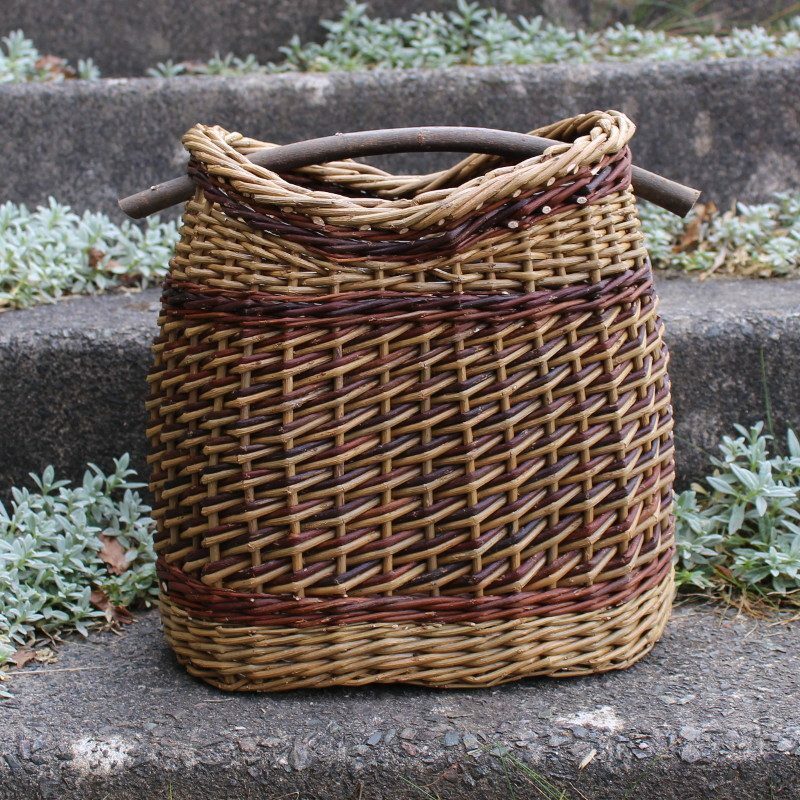 A beautifully shaped basket with rising sides and an unusual willow handle. 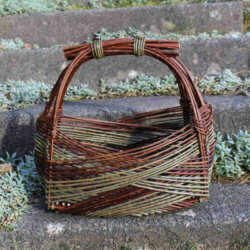 Using two varieties of willow creating a stark contrast in colour. 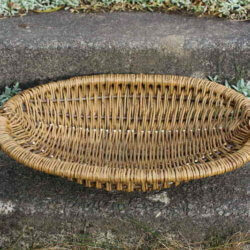 A beautifully shaped basket with rising sides and an unusual willow handle. 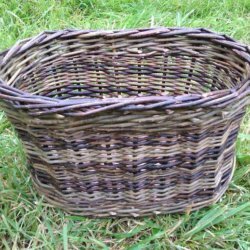 This oval basket has been made with black maul and flanders red. 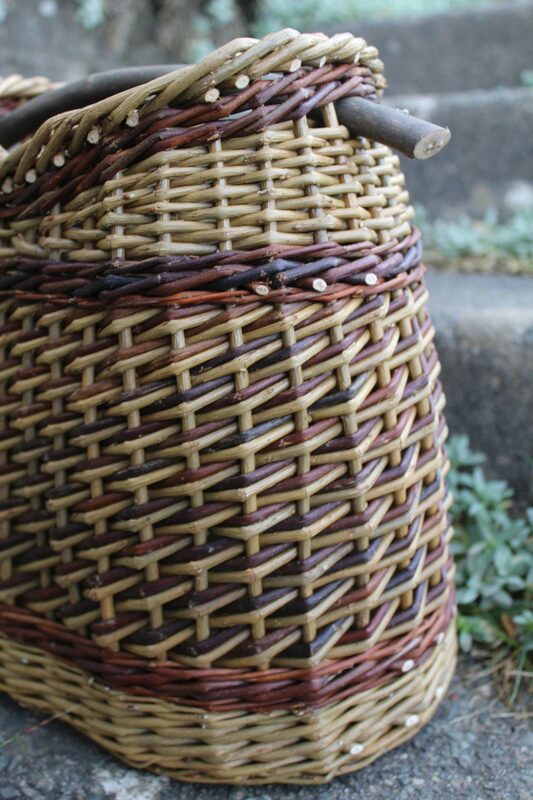 The two different vaireties of willow were both used for the double french rand creating a stark contrast in colour.